Probably one of the greatest nutrition myths is the belief that “eating fat automatically makes you fat.” After all, “You are what you eat.” Right? This has fueled a recent trend promoting foods that are “fat free” or a reduced amount of fat. Yet, as a nation, we’re more overweight than ever. Along with obesity, there is an alarming increase in Type 2 diabetes. Gluten sensitivities. Increased neurodegenerative conditions. These are often traced to our diet. There are basically three types of food from which we obtain energy and the raw materials our bodies need to function and heal. Carbohydrates – These are sugars or starches such as bread, pasta, beans, potatoes, rice, and cereals. Proteins – Our body breaks down beef, poultry, fish, eggs, dairy products, nuts, seeds, and legumes into various amino acids that maintain and build our tissues. Fats – A nutrient that provides energy and helps our body absorb certain vitamins. It helps you feel full so you don’t eat too much. 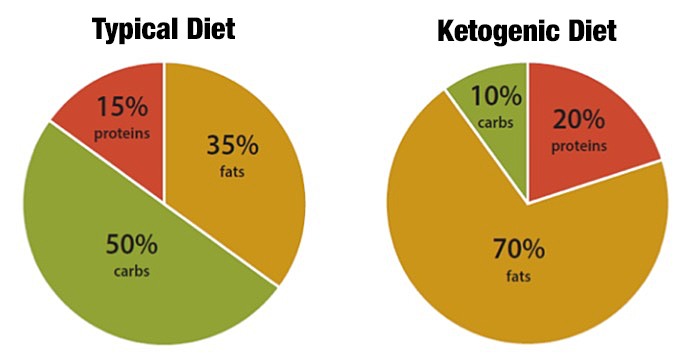 It is the proportion of these three elements that distinguishes a Ketogenic diet from the “Mediterranean” diet, the “Paleo” diet or any other type of diet. When there is an elevated level of ketones in the blood, one is in a state of ketosis. By reducing the consumption of carbohydrates, your body becomes a fat-burning machine. Instead of fueling your body by breaking down carbohydrates, your body switches to using stored body fat. As you might expect, this can produce weight loss, better health and improved performance. There’s much more to the proper use of a ketogenic diet than what we can cover in this brief blog post. If a ketogenic diet sounds interesting, arrange a no-obligation consultation. Let’s discuss your health goals and how we may be able to help. Our nutritional coaching is helping our patients with weight loss, diabetes, and many types of chronic conditions. Give me a call with your questions. Or arrange a time to tour our practice and discuss your particular health challenge.